Sony’s global recorded music operation generated $3.92bn in revenue in the last calendar year – with streaming claiming over 50% of this sum. 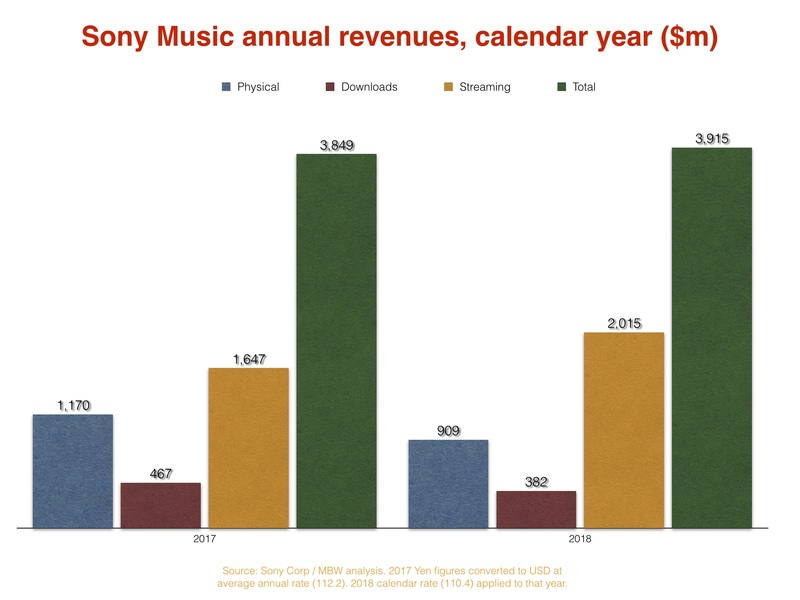 According to new financial figures posted by Sony Corp and analyzed by MBW, Sony’s labels turned over a total of $2.02bn from streaming in the 12 months of 2018. That was up 22.3% year-on-year (on a like-for-like US dollar basis) versus the $1.65bn Sony saw from streaming in calendar year 2017. 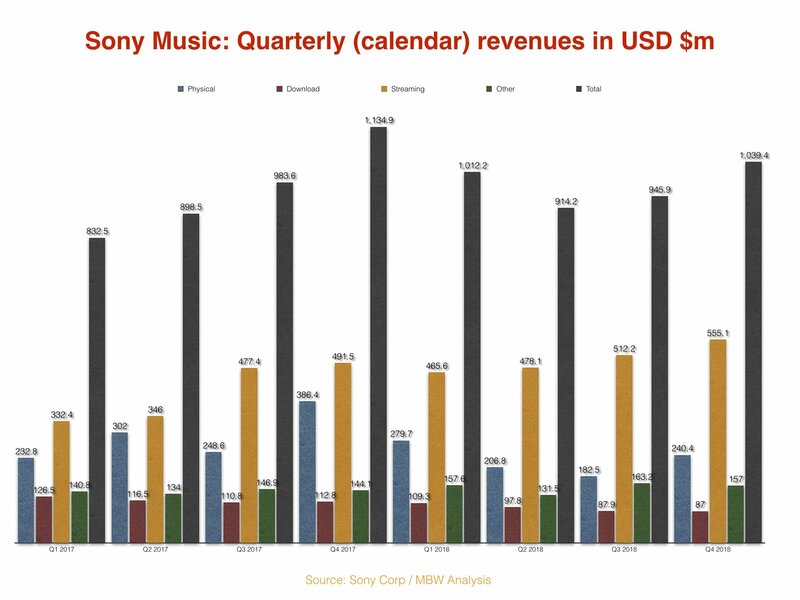 Hampered by declines in physical (-22.3%) and download (-18.2%) sales, Sony’s overall annual recorded music revenues in 2018 grew by 1.7%. Sony Music saw a decline in revenues in the fourth calendar quarter of 2018 (its fiscal Q3). The firm’s global recorded music division posted $1.04bn in the three months to end of December, down 8.4% on the prior year quarter’s $1.13bn – although Sony Music’s 2018 was negatively affected by an accountancy adjustment. Streaming revenues were Sony’s bright spot in Q4 2018, growing 12.9% year-on-year, and topping $555m. This couldn’t offset a severe decline in physical sales, though, with quarterly global revenues from CD and vinyl dropping by $146m (-37.8%) year-on-year. Quarterly download revenues fell to $87m, down 22.9% on Q4 2017. In the second half of the last calendar year (H2 2018), Sony’s streaming revenues grew 10.2% to $1.07bn, while overall revenues dipped 6.3% to $1.99bn. Sony’s best-selling recorded artist project (by revenue) in the 2018 calendar Q4 period was Astroworld by Travis Scott (pictured) – as it was in the previous quarter (calendar Q3 2018). Sony’s other biggest global earners in calendar Q4 were, in order: Bob Dylan – More Blood, More Tracks: The Bootleg Series Vol. 14; George Ezra – Staying at Tamara’s; Little Mix – LM5; and Pentatonix – Christmas Is Here!. 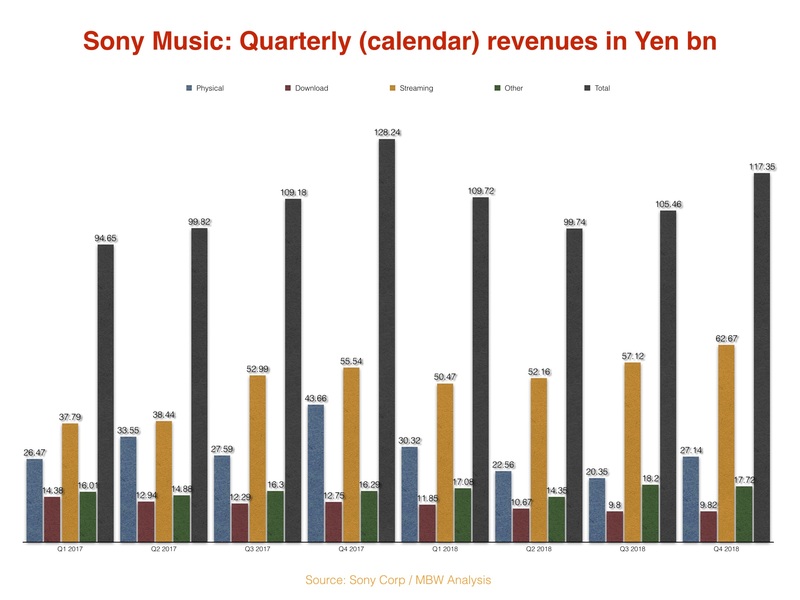 Sony Corp’s music publishing operation – which now includes Sony/ATV, Sony Music Publishing Japan and EMI Music Publishing – posted calendar Q4 (fiscal Q3) revenues of 30.37bn Yen ($269m), up 65.8% year-on-year at constant currency. 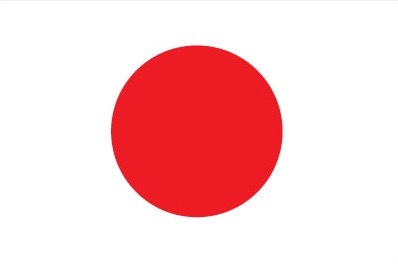 Sony’s overall music division – including recorded music, publishing and ‘visual media and platform’ – posted quarterly sales of 209.35bn Yen ($1.85bn) in calendar Q4, down 4.1% at constant currency on the prior year quarter’s 218.43bn Yen ($1.93bn). The Sony Corp music division also posted a 147.1bn Yen ($1.3bn) quarterly operating profit in the three months – up 274.2% year-on-year at constant currency on the 39.34bn Yen ($348m) posted in calendar Q4 (fiscal Q3) 2017. That huge leap in operating income was driven by the fact Sony closed its acquisition of 60% of EMI Music Publishing from Mubadala in mid-November. This resulted in EMP becoming a wholly-owned subsidiary of Sony. 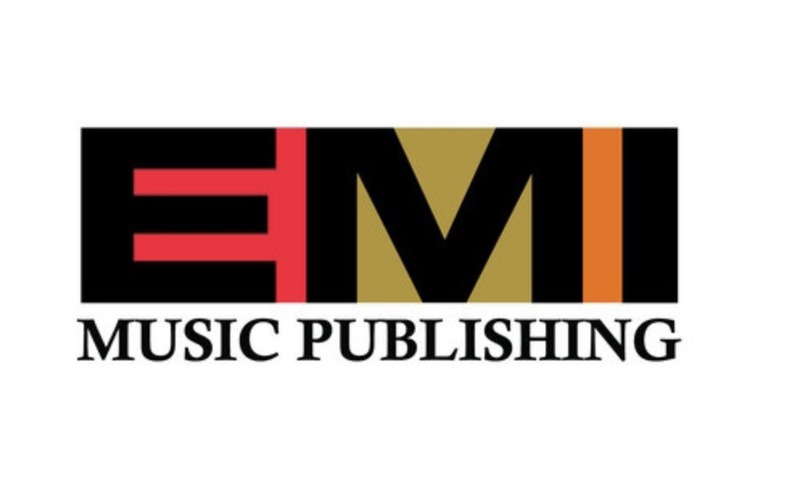 According to Sony Corp, after the point of closing the deal on November 14, EMI Music Publishing posted quarterly revenue of 10.45bn Yen ($93m) and operating profit of 1.91bn Yen ($17m) in calendar Q4 / fiscal Q3. Sony remeasured the approximately 40% equity interest in EMI that Sony already owned (prior to the Mubadala acquisition) at a fair value of 141.14bn Yen ($1.25bn) which resulted in the recognition of a non-cash gain of 116.939bn Yen ($1.03bn). This was then included within the quarterly operating income of Sony’s Music division. Sony did not record any tax expense or deferred tax liability corresponding to this gain. Sony also assumed EMI’s existing interest-bearing debt of 148.62bn Yen ($1.31bn) as a result of the acquisition, of which 108.94bn Yen ($961m) was repaid immediately from Sony’s existing cash. 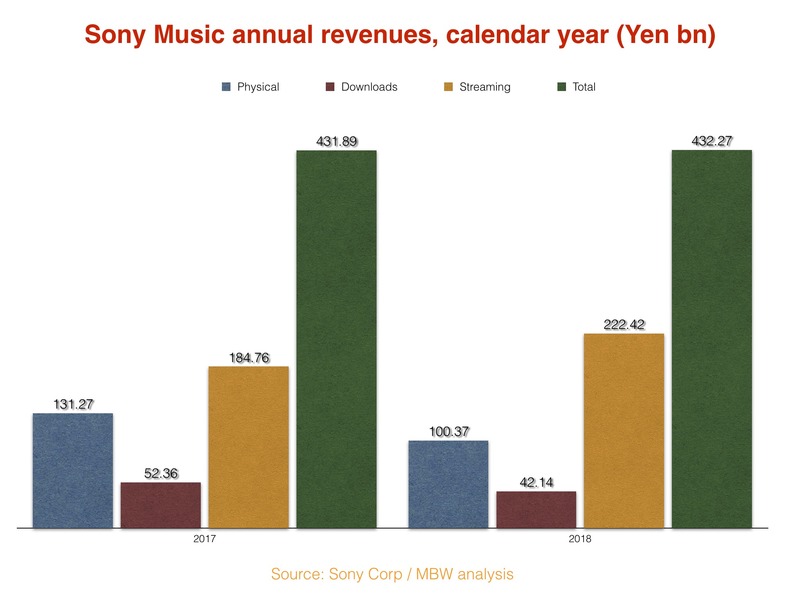 This isn’t a perfect system; it risks overplaying Sony Music Entertainment’s global business slightly by converting a chunk of revenues from Sony Music Entertainment Japan (which would usually be straight-reported in Yen) into US dollars. But it provides us with a cleaner reflection of the performance of New York-based Sony Music Entertainment outside of FX distortion, because the company had to convert its US currency into Yen in the first place for Sony Corp’s results. The same is true for US-based Sony/ATV, and US-based EMI Music Publishing. 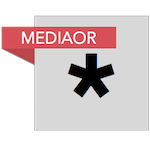 MBW believes this currency exchange system is the yardstick used internally at Sony Music Entertainment’s HQ in New York.